If you want to see the movie, mingle with celebs and support a great cause, here you go! Reginald Hudlin’s biopic starring Chadwick Boseman makes its debut on the big screen — and you’re invited. See the film and then join the cast and crew at the invite-only after-party. 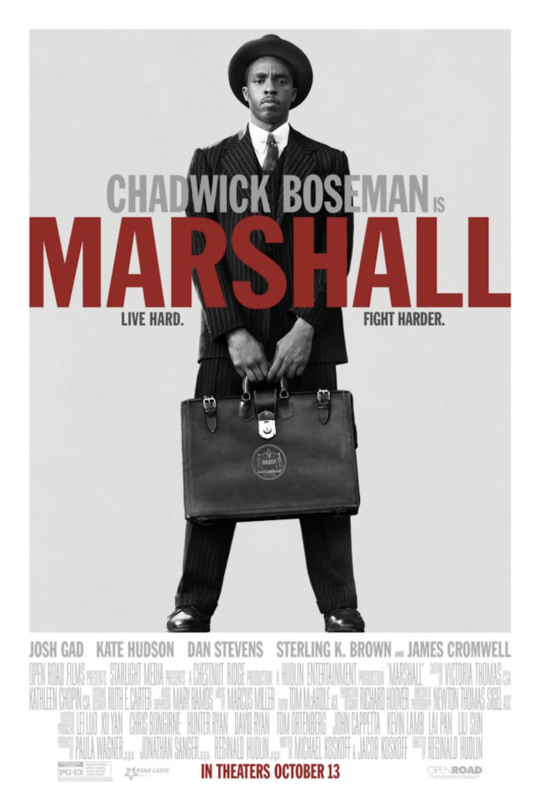 Director Reginald Hudlin’s biographical thriller comes to life in the new film, Marshall, which follows the real-life story of the first African-American Supreme Court Justice, Thurgood Marshall, as he struggles with one of his first career-defining cases. IfOnly has unlocked access to the red carpet Hollywood premiere of Marshall. You and a guest will watch as Chadwick Boseman plays Thurgood Marshall, opposite other notable co-stars like Emmy Award winner Sterling K. Brown, Josh Gad, Kate Hudson, Dan Stevens, and James Cromwell. Once the film is over, join the cast and crew at the invite-only after-party at a secret undisclosed VIP location. Proceeds will benefit the ACLU of Southern California.